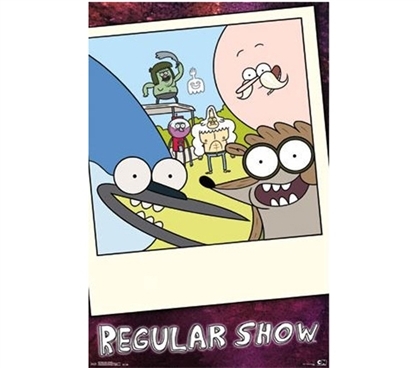 The goofy characters on this Regular Show - Snapshot Poster make this dorm poster a fun supply for college and a dorm essential for anyone who wants a bit of goofiness of the Regular Show to help decorate his or her dorm room. Wall decor items for college are essentials for college. They're needed dorm supplies for making your dorm room feel fun and for allowing that living space to take on some personality. When decorating your dorm, posters for college are staple dorm items, so make sure they're part of your inventory of college stuff, as without them, you'll be lacking timeless dorm essentials. And remember, have some fun while you're dorm shopping!